Our Finley sweaters are designed to take you and Derek Rose out of the house in the most comfortable and luxurious way. 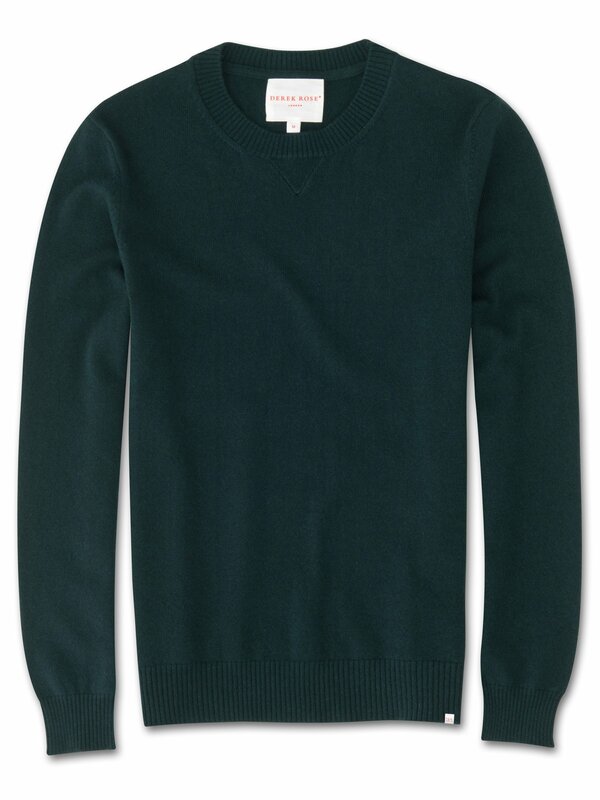 This 100% cashmere sweater features a v-stitch to ensure the neck holds its original shape during and after wear and a ribbed waist, neck and cuffs for the perfect fit. The starting point for Finley was the grade of pure cashmere we chose - a luxuriously soft 12 gauge pure Italian cashmere made by Loro Piana, which we consider to be best in class. Touch this fabric and you'll be reminded what cashmere should feel like. The material hangs wonderfully, for a look that's as luxurious as the feel. Seen here in a seasonal forest green, this has to be the finest way to stay warm during the colder months.